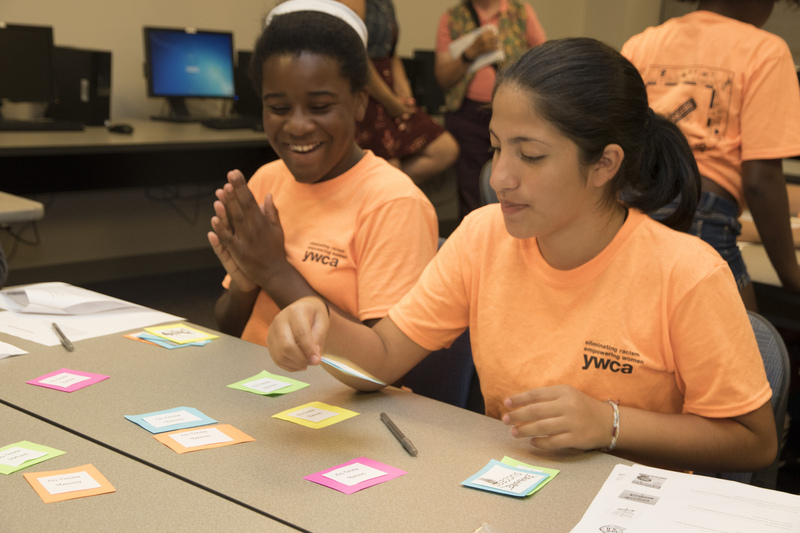 A group of 15 students from the YWCA participated in College for Kids. 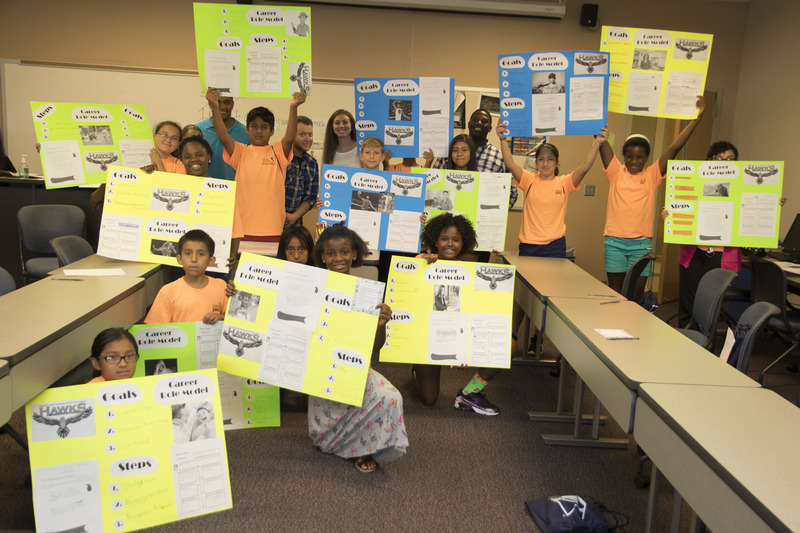 Students in GENS 100 created activities for the event, one of which was a matching game. Participants created vision boards to help create and accomplish their career goals. Once complete, participants presented their vision boards to the group. A GENS student helps a YWCA participant work through her goals. 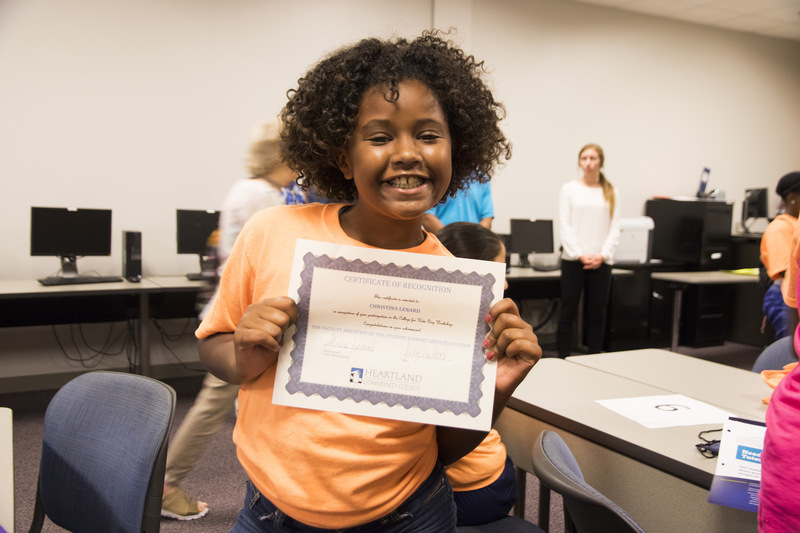 Heartland has a strong commitment to service learning, an approach where students take what they learn in the classroom and address a need in the community. The INSPiRE Grant at HCC helps faculty members implement service learning in the classroom. As a recent recipient of the grant, Alicia Lenard applied it to her GENS 100 class, a course that teaches On Course principles and focuses on success skills in education. Topics discussed in GENS are based on personal success and include things like self-motivation, overcoming victim mentality and instilling personal responsibility. 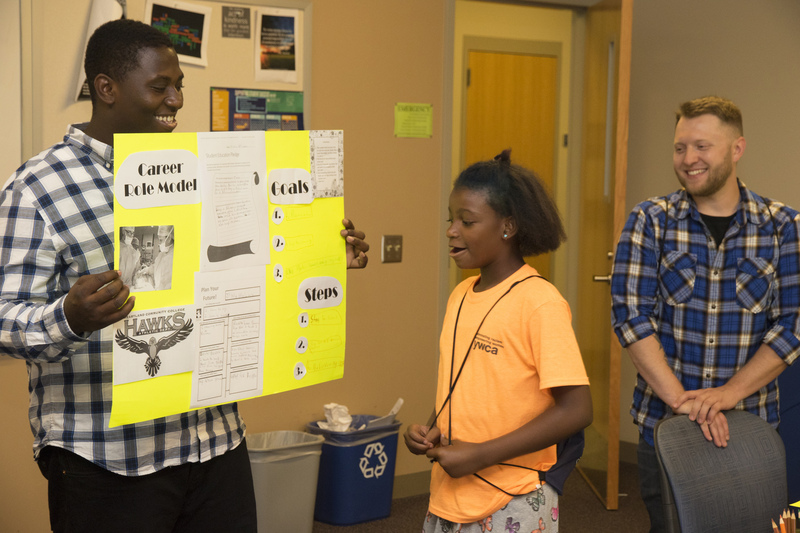 With that, Lenard and her class put on College for Kids, a day where children unfamiliar with higher education could get an introduction to the basics of college. 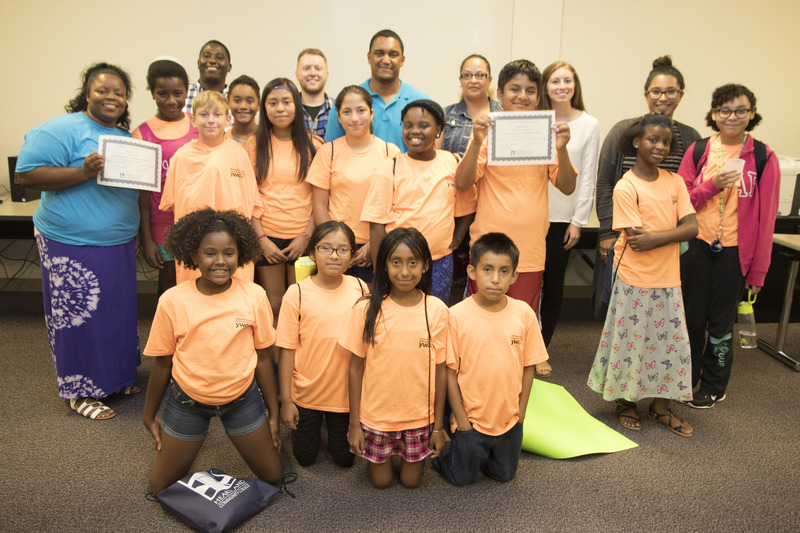 The event took place on July 26 with 15 YWCA kids participating. 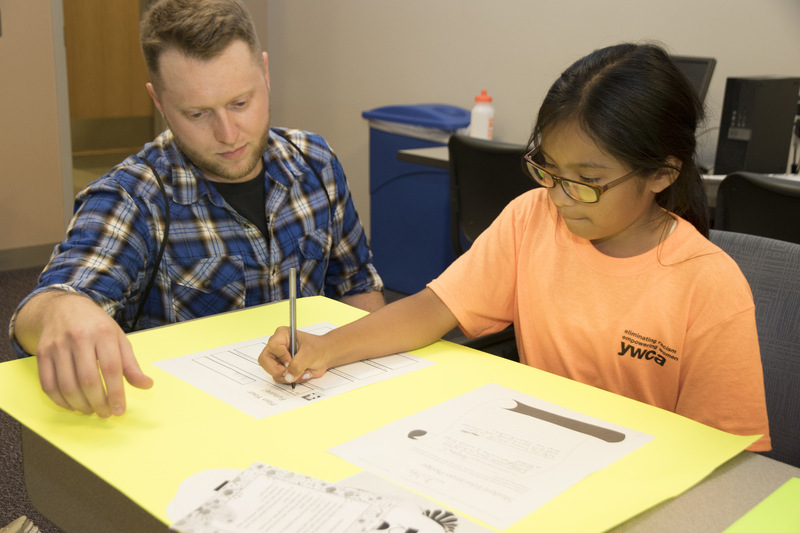 It included an application process to be “accepted”, a tour of campus, three workshops and a “graduation.” The participants, aged 9 to 12, spent the day exploring careers, writing goals, creating action steps to meet their goals and reflecting on their experience. To further mimic a college experience, participants were given temporary student logins to access the internet and practiced public speaking by presenting their reflections in front of the group. The event pairs well with recommendations from experts that suggest conversations about college should start a young age. This way, children can visualize themselves and gain the confidence to continue their education. It was also valuable to students in Lenard’s class. Read more from The Pantagraph.